UTRGV | Meet the UTRGV Street Team! Meet the UTRGV Street Team! 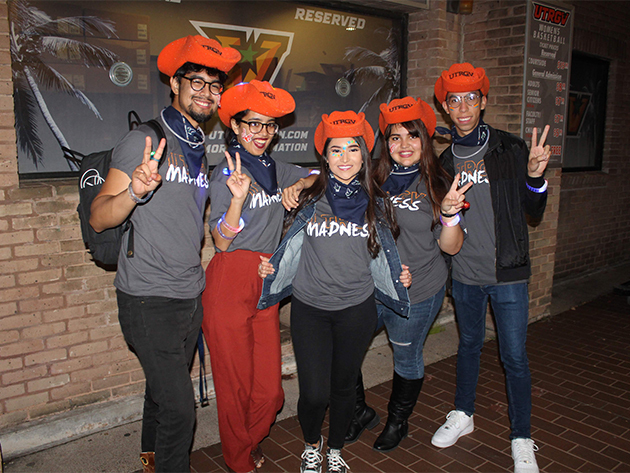 The UTRGV Street Team is a group of five students that spread the UTRGV pride on and off campus. You might see them giving out cool UTRGV promo items, taking photos and video for our social media pages, or getting crowds pumped up for campus events. Be on the lookout! For more information, please email streetteam@utrgv.edu or click here to submit a request. Please follow us on social media and use #UTRGV #StreetTeam.